Shop would suit a variety of trades for A1 User. Rental: £350 p.c.m plus buildings insurance. 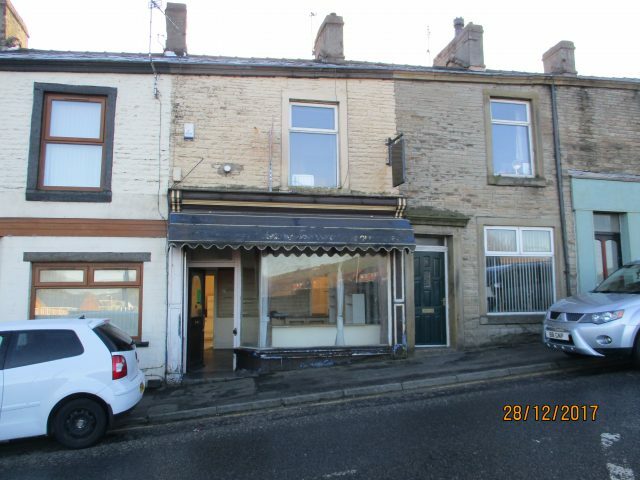 Thomas Shaw is pleased to be offering to let these shop premises which occupy a prime main road trading location in Rishton. They are close to other thriving shops and houses. The whole of the property is available to rent. The property benefits from a cellar. Previously used as a discount shop. The building would suit a variety of other users including offices. The shop has an excellent window display and the low rent should attract a discerning business person. The low overheads will enhance the trade. Costs and Charges; The successful tenant will have to be approved by the landlord to lease these premises. Referencing will be undertaken for which there will be a charge and the tenant will also be responsible for paying the landlords legal costs in relation to the drawing up of the lease and heads of terms. Exact details will be obtained when the leasing has been negotiated. (Minimum fee £350). Price: £350 pcm plus buildings Ins.